As consultants, we see that some of our life science and biotech clients are interested in learning how to ‘DIY’ (Do-It-Yourself) marketing and public relations items that were traditionally outsourced. We realize this need for smaller businesses who may have more limited budgets. We offer our suggestions below with the caveat that professional public relations (PR) and marketing firms do have a lot to offer as they have the experience and connections, and as we point out below, a sustained PR campaign requires significant effort. Our guidelines for sending a biotech press release are listed in chronological order. Start with a message and a plan. The purpose of public relations is to help your company realize its objectives by being perceived in a certain way. For an example, a biotech company may want to be perceived as an excellent drug discovery collaborator so that they will be approached by potential partners. Of course, the perception cannot be far from reality. Once this message and its objectives are clear, a plan should be developed to meet this goal, and it will include other aspects of marketing such as conferences and product launches. Form relationships with the media. It’s important to start this process early, as of course relationships take time. Due to the changes in the media landscape, publications are now more ‘hungry’ for biotech and scientific information, so they may welcome your ideas more readily. Part of your PR plan should include target publications in which editorial coverage (or ‘earned media’) will help you to achieve your goal. You’re likely also advertising in these publications, so ask your salesperson to connect you with the editorial staff. It also helps to review the editorial calendars of these publications, so that you can coordinate your schedule with theirs. Make the release newsworthy. One of the results of the changes in the media landscape is that now that everyone can send a press release…everyone does, flooding the internet with commercial ‘news.’ Ask yourself before sending the press release, is it news? 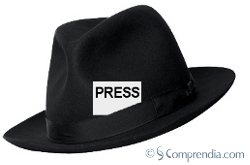 Putting out a string of press releases does not entail a PR strategy. If you decide your release does count as news, tie it into biotech business trends and life science research news. Send personal emails to your top targets, explaining to them why the story would be good for their publication. Or, better yet, call them; the most sought after journalists get many emails, calling may be a way to stand out. Consider embargoing the press release to your top targets as well, giving them time to cover the story in more depth, although this is not a guarantee you’ll get good coverage. Use a press release distribution service. We’ve seen life science companies take the ‘DIY’ concept to the extreme, defining a ‘press release’ as a blurb on their website and an email blast. While you may have a terrific network and a great distribution list (which we’ve warned against abusing), for the time being, distribution services such as Marketwire (which is the service we suggest) will get your release in front of many people and also help you with SEO (search engine optimization). The cost will be between $500 and $1000, depending on the length and options you choose. If it sounds too expensive for the number of releases you plan to send, then you may want to consider that you’re sending too many. Consider SEO (Search Engine Optimization). Is it your company’s goal to be the leading provider of kinase assays? Make sure these keywords appear prominently in your release, and that there are links to your website as well. As with many other marketing activities, we’re big proponents of using Google Analytics/Adwords data to find what your customers or target audience are searching for. This will help you to get the most out of the ‘Google Juice’ you’ll get out of your release, and many of the distribution services also have SEO tools to help you. Things will continue to change, and it’s possible that in a year or so we’ll adjust this list, perhaps making ‘social media PR’ #1. One thing that will likely remain the same is the importance of relationships in getting attention for your company’s news. As the ‘DIY PR Pro’ for your company, you should now consider this part of your daily routine!